Enables quick inflation without much effort. 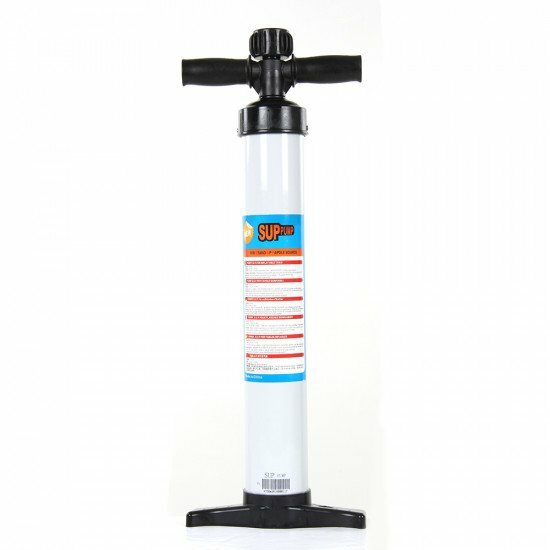 Originally Designed as a Stand-up Paddle-board (SUP) hand pump, this ultra-high pressure hand pump is ideal for any inflatable. The Dual Action Pump provides excellent airflow on each stroke. The hand pump is more efficient because it pumps on both the up and down-stroke. This greater efficiency of movement means it's designed to enable you to exert limited effort to inflate, even at high pressures. Reach optimal pressure quicker and more easily. It has a large pressure gauge for accurate inflation. The pressure capacity is up to 20 PSI and reads to 30 PSI. The heavy duty construction means the Dual Action Pump is reliable and strong. This construction paired with the choice of materials like the aluminium shaft means it really is built to last. The pump comes with a 2m inflation hose, recessed one-way valve adaptor, nozzle and a conveniently located, easily visible, in-line pressure gauge. 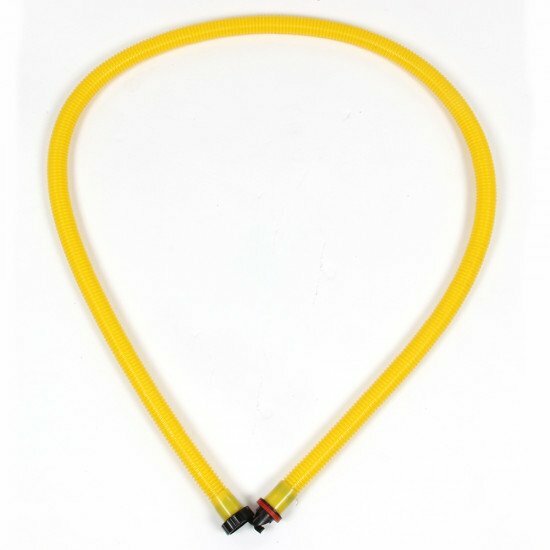 The included pressure gauge that reads up to 30 psi easily attaches between the pump body and the hose. This enables you to see the inflation pressure while you pump. The Dual Action Pump's built-in foot plate creates additional stability while you're using the hand pump. 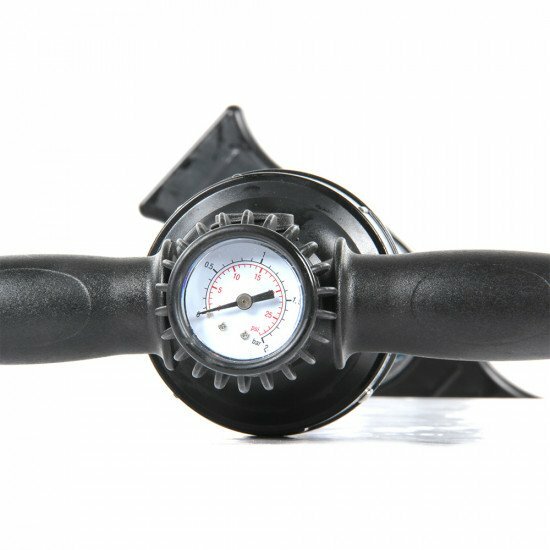 Please note: The Dual Action Pump is gauged up to 30 psi and ideal for pumping up to 20 psi, we don't recommend inflating your items beyond the manufacturer's recommended maximum pressure.